We welcome all cars makes - models. The models from late 90’s until 2010 are easily payable as per your need. The used, old, accidental, broken, non-roadworthy, unwanted cars are buying on top rates. Sometimes we offer higher prices on particular car models that will be available on our website. There is an easy process when the customer demands the quote. How is it too simple for everybody? We always ask cars required details over the calls, in certain conditions our evaluators visit your place. You don’t need to go anywhere we always come to you. Quick Sell= Call to us + Get Vehicle’s Details+ We pickup & Pay. We always provide quick car removal service for junk vehicles. Our driver arrives; simply exchange the keys and title for cash. No waiting. No hassle. Totally Time Saving. There are no administration, hidden costs free or any towing service charges of your unwanted vehicle removal. All we want is to buy your vehicle and our team will make sure that your vehicle is tow away fast and without any fuss. There is No upper price limit for your junk vehicle that you want to rid of. Sell8.com.au team will give 100% Free vehicle inspection on your doorstep and can pay you up to $13999 on the spot. All you need to call us and avail your Free No Obligation Quote! Our experienced appraisers check your vehicle completely to offer you a decent price. There are various factors for preparing your offer; current market value, condition - both inside and out, vehicle history record (accidents, maintenance), unique packages of features, and so on. Give me the best offer! When your vehicle is appraised, we will do our best to come up with a good and proper price. It ordinarily requires about 30 minutes to prepare a written money offer. You won’t get bored in the entire process. What is my fair Price? If everything completed? Fine. Be sure that you’ve arranged all of your documents completely ― those cover your vehicle’s title and valid current registration. We get the vehicle and you get the cash! Sell Your Car to Us – We’d Love to Buy It! Do you wish to get engaged with one of the reliable companies who would provide the fair value of your vehicle? Are you searching to sell my car in Brisbane? You are indeed in the correct place. You need to follow simple steps. Your car is going to take care of your doorsteps. Even you would receive the maximum money for scrap cars. Your car will be converted into monetary terms in almost no time. 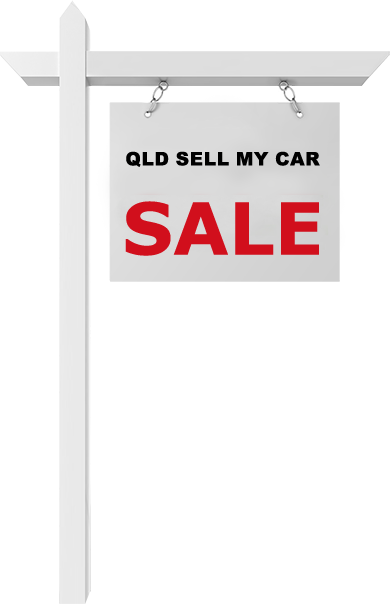 The working to Sell Used Car Brisbane is even simpler. You do not have to wait long to have the cash in your hands. Cash For Cars – Sell8 purchase all makes and models of cars. You can sell us your vans, utes, trucks, 4wds, etc. Some of the popular models that we usually deal in are, Isuzu, Holden, Mazda, Nissan, Mitsubishi, etc. Even the condition of the car does not affect our deal. You can sell us your accidental damage car, scrap car, wrecked car, etc. Our team members try to provide comfort to all our customers. The entire working procedures are conducted in almost no time. Our side even avoids lengthy and time-consuming formality. Our auto dismantlers begin their work on the vehicle as soon as it reaches the wrecking yard. We remove the useful parts and sell them for further use. The rest of the metallic components send to metal recyclers for making new appliances. Sometimes you feel like I want to sell my car to wreckers. However, your thoughts are going to change, and you would possibly start valuing your old car. It could be converted easily when you get engaged with the team of Sell8, South Brisbane, QLD 4108. Are you worried about the removal charges of the wrecked car deteriorating in your garage? Well, you will get some relaxation by knowing that it is not only your problem in Brisbane. Many scrap car owners face the same challenge. But, a solution is also present if you want to sell your wrecked car. Sell8 is here to help you out of such a problematic situation. We have free car removal and obligation service for our customers. So, if you sell your scrap car to us, you are going to get an opportunity to remove your vehicle free of cost. The task of selling my car for cash Brisbane is more straightforward with us. Our rates are competitive as we have been scrapping vehicles for years. The company earned good faith from existing customers and trying to solve the issue regularly to get topnotch our service. The trust factor is mandatory for any business so customers can engage directly to us using call or email. Also, they can view or write behaviour feedback at the sell8 business profile. Simply make the search on the web “sell my car to sell 8”, rate our services there.Do you have an old and rusty car sitting in your garage? Consuming space and attracting unwanted pests is the only work it can do for you. There is no point of keeping such an object on your property. Why don’t you put an end to this problem once for all? With our cash for cars service, you have the opportunity to earn a good lump sum now. It doesn’t matter whether your car is working or not. Are you confused about the Location of a local buyer? As a Brisbane wide auto buyers, we never mind the distance from our wrecking yard. As we serve the entire Brisbane and its near suburbs like Logan, Ipswich, Gold Coast, etc., so no need to go anywhere for the deal. Our experts will be at your place to purchase the wrecked car from you. We will be more than happy to show you the reality of cash for unwanted cars services. Will sell8 Buy My Wrecked Car? Yes, We cash wrecked cars. When the doorstep inspection is conducted, the proper working condition of the car is checked. Furthermore, we do all mandatory checks like owner verification. It becomes more easier than to sell a used car. Get Cash For Cars Up to $14k for your wrecked cars & Trucks in no time all you need to call us or email us and your good to go. You need to contact with any of our executives or drop an email. As soon as possible our team members will contact you. Professional evaluators will reach you with the number.In short- Call us with the vehicle details, get your pricing quote, if agree, let us know the time of pickup. We buy Cars– Scrap, Wrecked, junk, unwanted, resty, dead, unregistered, old models or good working condition. We Pay For Truck- We accept any condition commercial & Private trucks and lorries. Cash Your Vans- Not only Cars and Trucks, but we are also wrecking vans and towing them for cash. We buy 4 Wheel Drives- Get Paid for the 4×4 vehicles for an instant quote today. Scrap Metal- We buy Aluminum, Brass, Copper or other Metals. We sell parts- used parts, quality second-hand parts for your vehicle. If you choose us, we assure you that you are saving your money. A common fear which comes while selling old cars for cash is that whether the service provider would provide the right value for your product or not. We have to agree with all the problems and loopholes our old car has as per their words. So, by getting involved with us you are even free from any of this fraudulent approach. Not only that but also you can earn good cash for your car from us. So, what are waiting for? 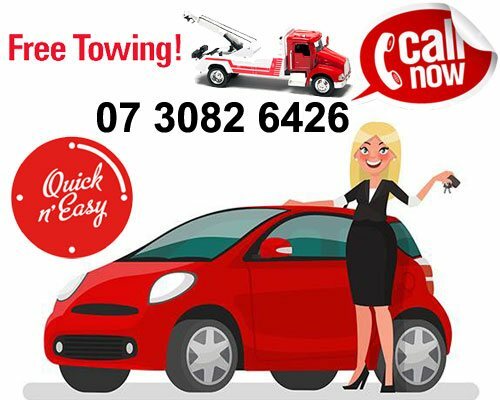 Pick up the phone and give us a call for the best car removal and cash for scrap cars service in Brisbane. Finally, you should always sell your vehicle for cash to any of the certified dealers. Getting equally and fairly treated becomes a reason for choice when it comes to making a choice. Well, our company Sell8.com.au is able to win the hearts of all its customers by their service. We are offering price estimation to our customers. So, if you want to know about your car’s current market value, fill the form on our website. But, make sure to fill it with proper information. Our contact details are present on our website. You simply need to show interest that you wish to sell your old car. Our people will collect the car at their own cost. What Happens If I Don’t Enter The Full Details Of My Vehicle Condition? It might prove to be a time consuming procedures at the end. If I Don’t Enter Full Details Of My Car’s Condition What Happens? We are initially unable to provide the value for your vehicle. Simply contact with us and we will provide you the best support and help possible. How Will I Receive Payment For My Car? You will be paid entirely by cash or the proceeds would be transferred to an account as per the demand made.